Switching to electric shavers can offer quite a few benefits — convenience and comfort being among the most compelling ones. Electric razors, as you probably know, come in two flavors: foil and rotary. Personal preference aside, there are some specific advantages to using one or the other. In this article I’ll go over what I consider to be the most important traits of foil shavers; we’ll also take a close look at some of the more popular models and hopefully help you decide what would be the best foil shaver for you. What is a foil shaver? 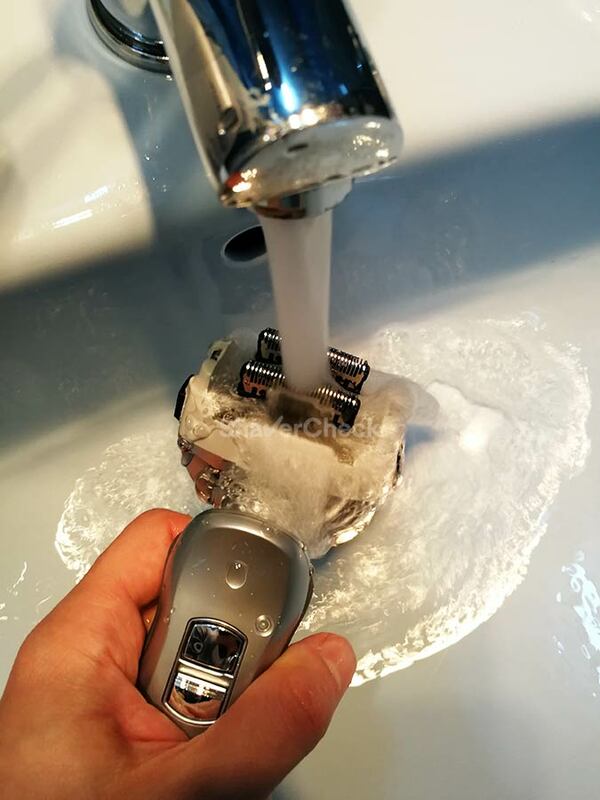 Foil shavers offer the closest shave. Foil shavers are better suited for sensitive skin. Foil shavers are easier to clean manually. Foil shavers are better for touch ups and finesse work. A wider selection of brands and models. What are some of the best foil shavers? The foil shaver was introduced as a refinement of the original electric shaver patented by Jacob Schick. Remington was actually the first company to use the micro-foil: a thin, perforated metal screen that covered the blades and vastly improved the comfort during use. The design was constantly refined throughout the years, but the basic principle has remained unchanged. Foil shavers use sharp reciprocating (oscillating) blades that move sideways at a very high speed behind a protective screen, cutting the hairs that enter through the perforations in the foil. Most of today’s modern electric shavers feature at least two micro-foils, but also include specially designed cutting elements that are able to capture and trim longer, flat-lying hairs. 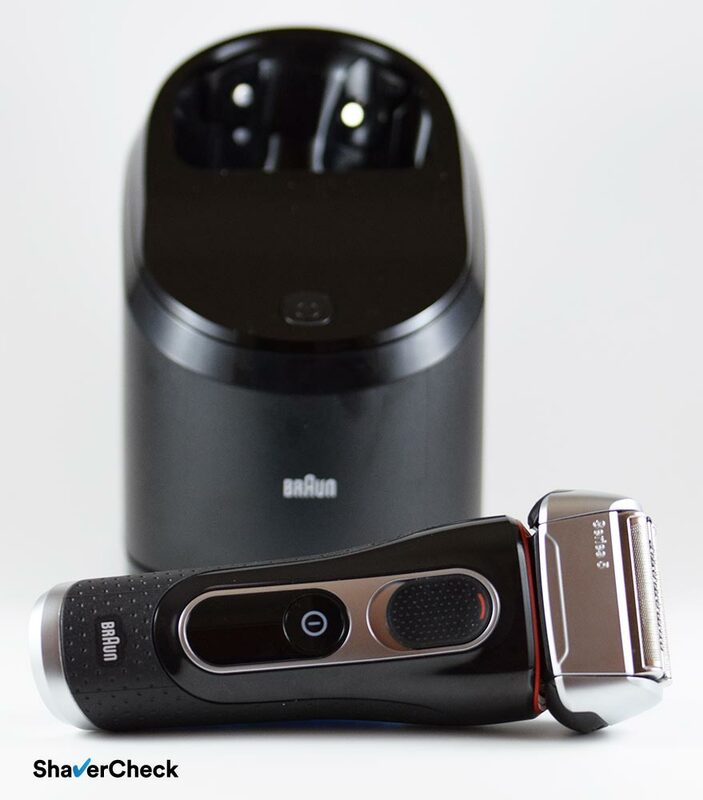 The shaving head of a Braun Series 3, featuring a middle trimmer with micro-comb, designed to capture longer, flat-lying hairs. The more advanced electric foil shavers can have two or even three specialized cutting elements besides the regular foils. Below you can see two different implementations of a 4 blade cutting system. 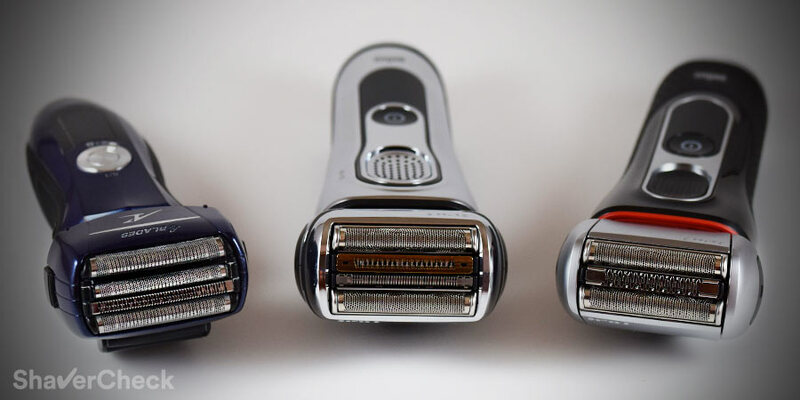 On the left, the Braun Series 9 9290cc uses two trimmers flanked by two regular foils. One is designed to capture hairs that grow in different directions, while the other one (colored in gold) lifts and cuts flat-lying hairs. 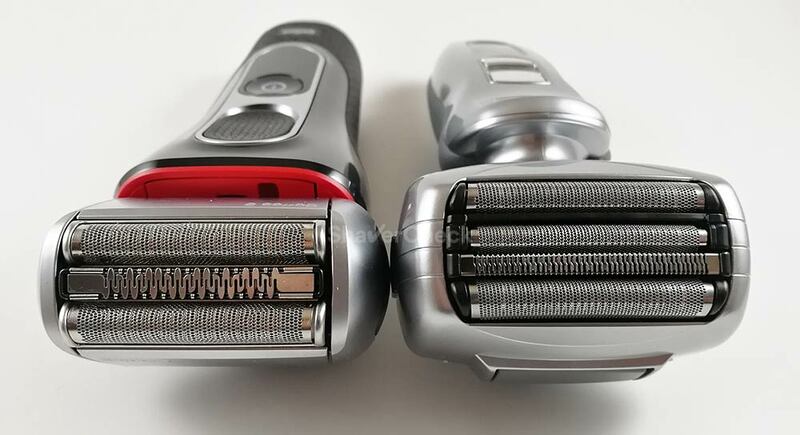 The Panasonic Arc 4 ES-LF51-S on the right uses only one trimmer for tackling longer hairs and a third finishing foil for cutting hairs very close to the skin. 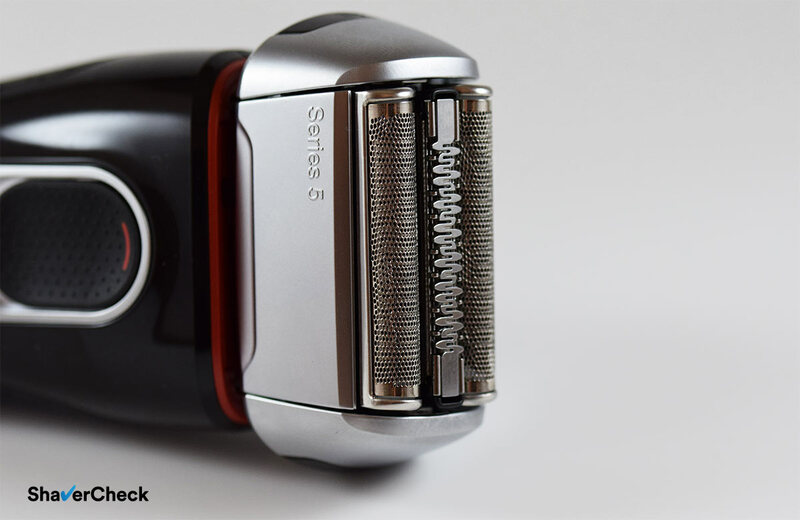 As a result, the Series 9 is more capable at shaving longer, flat-lying hairs that grow in different directions, while the Panny generally offers closer shaves, but it’s not as good at shaving longer whiskers. While having more blades doesn’t necessarily translate into a massive performance bump, foil shavers that feature 4 or even more individual cutters are top performers. They usually have more powerful motors, superior flexing capabilities of the shaving head and are generally more feature-rich. The Arc 5 line from Panasonic is the only one to feature a 5 blade shaving assembly. Below you can see a closeup of the Panasonic ES-LV65-S shaving head, comprising of 4 foils and one middle trimmer. 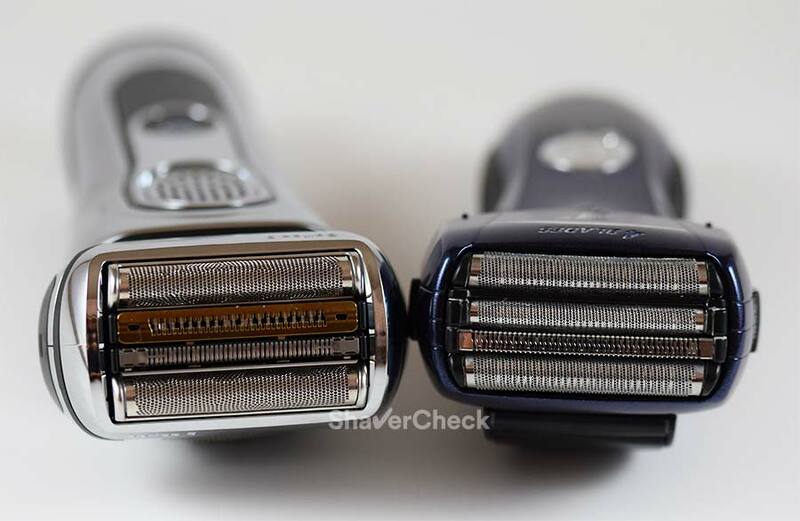 As mentioned previously, Panasonic’s take on the foil electric shaver shows an emphasis on closeness, while Braun’s razors excel in comfort and shaving longer, wiry hairs. We’ll take a closer look at the different models later on. Foil shavers differ dramatically in the way they operate from their rotary counterparts, but both can yield excellent results. This difference leads to specific advantages in the case of both, making them more or less suitable for a particular situation. Let’s see what are the pros of foil shavers. This seems to be generally accepted among men that use electric shavers and it also reflects my personal opinion on this matter. I’ve been using electric razors for more than 15 years and have come across quite a few, both rotary and foil. At least in my particular case — coarse facial hair and sensitive skin — I almost always got better results in terms of closeness when using foil shavers. The reason for this is probably the micro-foil itself, being extremely thin. The protective metal guards found on rotary razors are usually thicker and they act as a physical barrier between the blades and the skin. The thinner the barrier, the closer the shave. There are of course men who prefer rotary razors and actually get better results using them and that’s fine as well. Always use whatever works best for you. This is another case of a generally accepted statement in the electric shaving community; foil razors seem to work better with sensitive, blemish-prone skin than rotary shavers. 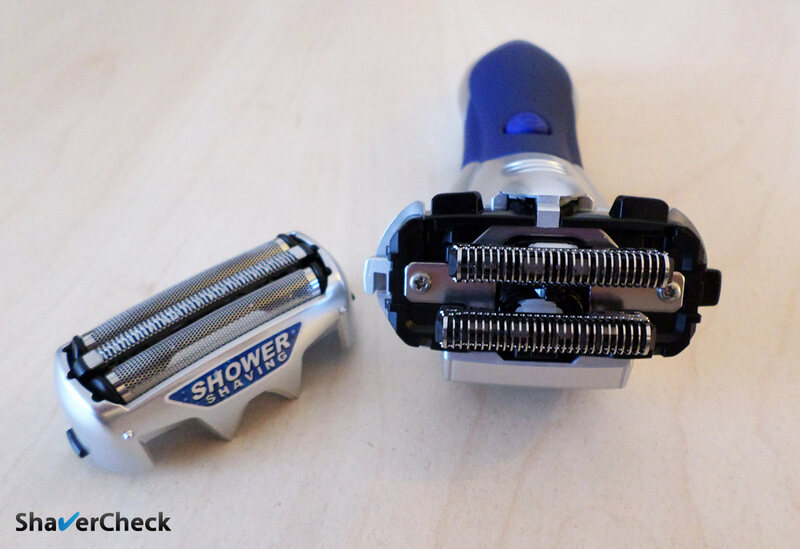 Some rotary shavers, particularly the ones in the lower-end segment, tend to pull the hairs and even pinch the skin. Again, this may not always the case and your mileage may vary. Anecdotal findings should be considered a starting point, they’re not by any means absolute truths. A cleaning station can be very practical for cleaning, sanitizing and lubricating your razor after every use. However, not all electric razors come with one; plus, some of these stations aren’t as good as others and the cost of ownership can go up pretty high. In this case your only option is a manual cleaning. 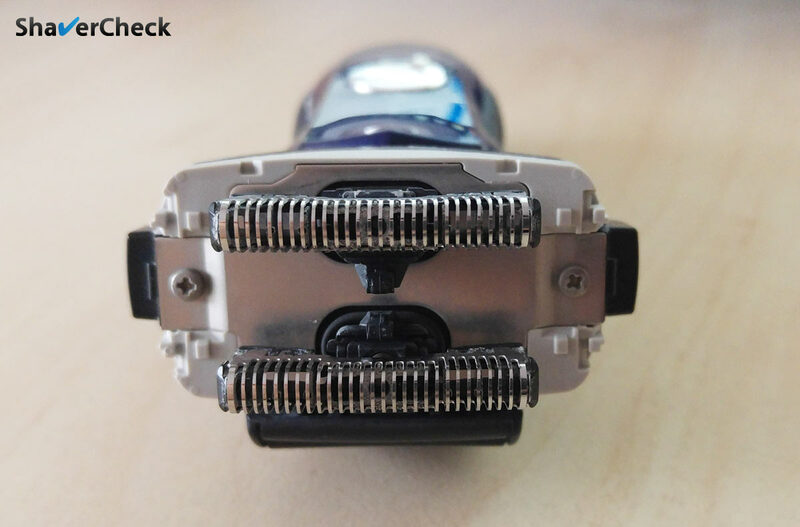 Rotary razors require a thorough cleaning that must be performed every once in a while; this implies completely taking apart the shaving head and individually cleaning each cutter. This is a fiddly and time-consuming operation; also, the cutters must be assembled back in the exact same positions or the shaver won’t perform optimally. Things are usually a lot simpler with foil razors. For the majority of foil shavers, a manual clean is very easy and straightforward, implying just some liquid soap and rinsing under hot tap water. However, some foil shavers are easier to clean than others. For example, in the case of Panasonic and Remington shavers, you can separate the inner blades from the foils and you have great access to clean them thoroughly. On the other hand, Braun uses the so-called cassettes, with the blades and foils merged into a single piece, offering very limited access and a manual cleaning is more difficult in this case. 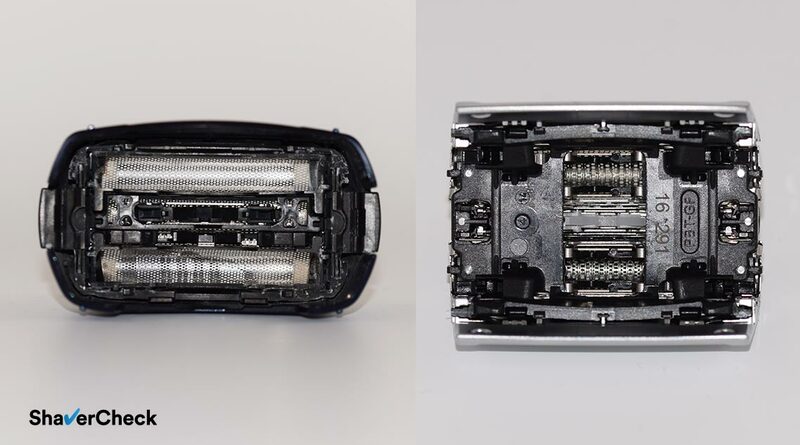 In the above image you can see the foil and frame of a Panasonic Arc 4 (left) vs the cassette of a Braun Series 9 (right). For this reason a cleaning station is definitely nice to have alongside a Braun electric shaver. Having a straight edge allows you to have more control when shaving tricky areas, like around your sideburns or goatee. Also, by using straight, shorter strokes as opposed to circular overlapping motions you have more precision compared to a rotary razor. This very straightforward operation also makes foil shavers an excellent choice for beginners. 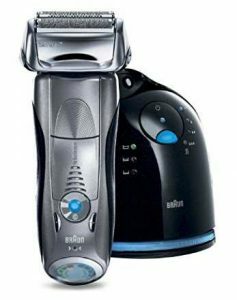 While your only viable option for a rotary razor is Philips Norelco, there are a lot of options from Braun, Panasonic and Remington in the case of foil shavers. The best foil shaver is ultimately the right foil shaver; when deciding which electric razor to buy, you should consider things like the coarseness of your beard, how often you shave, budget constraints or if you have sensitive skin that is prone to blemishes and irritation. In the next section I’ll go over some of my favorite foil shavers; for each one I will try to point out its key features and what exactly makes it a suitable option in a particular situation. 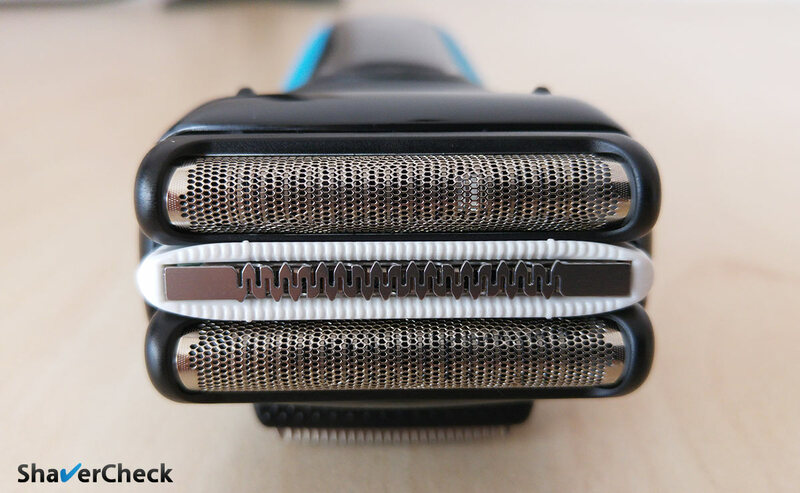 While the Series 9 is probably the most comfortable shaver you can buy today, the performance difference between it and the Series 7 couldn’t justify the premium price tag of the Series 9. However, the price of the Series 9 has seen a significant drop lately and it now represents an attractive option. With an additional cutting element, a powerful motor and a more advanced flexible shaving head, the Series 9 is a beefed-up Series 7 that will have no issues mowing through a few days of growth with ease. This is in my opinion the greatest asset of the Series 9 and its main advantage over the Series 7. 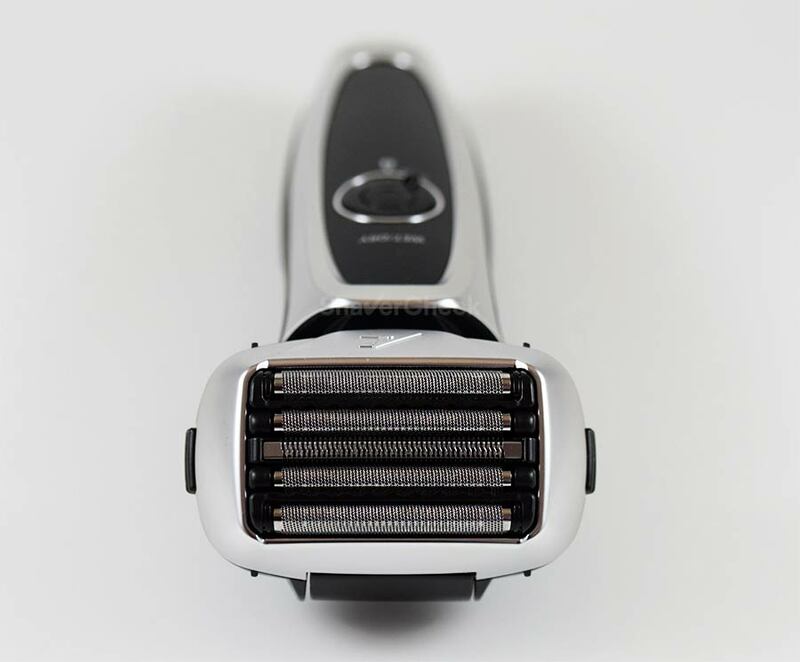 Braun’s implementation of specially designed trimmers makes the Series 9 better at dealing with longer, flat-lying hairs than any other foil razor. The Series 9 9290cc that I reviewed a while back is also the most comfortable electric shaver I’ve used so far. It’s an ideal option for men with very sensitive skin. 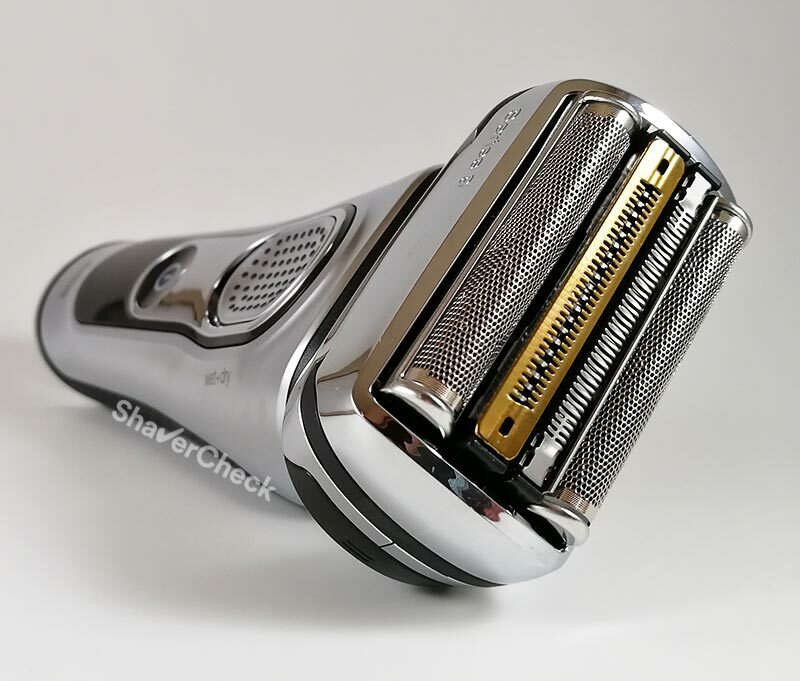 If you have very coarse facial hair, you don’t shave very often, want one of the most comfortable and fast shaves and the price is not an issue, then the Series 9 is the one for you. The closeness is very good, but again, not the best among high-end shavers. The Panasonic Arc 5 is still the best when it comes strictly to the closeness, but the comfort of the Series 9 is unmatched. For a detailed comparison between the Series 9 and the Arc 5 check out this article. I would personally go for a variation of the Series 9 that includes a clean & charge station, like the 9290cc. As we’ve seen, manually cleaning a Braun shaver is not as easy and the cleaning station is a very welcome addition in this case. The Arc 5 represents the premium line of electric shavers from Panasonic, the other big name in the foil shavers camp alongside Braun. Currently there are three generations of Arc 5 shavers and they’re all still available. While they are different in terms of design, price and included accessories, the performance is similar, especially with regards to closeness. The latest generation brings along a host of improvements, like an all-metal body and two golden comfort rollers, but the price of the shavers and replacement parts is still very high at this moment. And this is the main reason why I think the Panasonic ES-LV65-S from the second generation Arc 5 line represents the best choice for most men as it costs a whole lot less, but it’s still very similar performance-wise, particularly the closeness of the shave. First of all, due to the fact that it doesn’t include an automatic cleaning station, it costs significantly less than other Arc 5 razors that come with one. And to be perfectly honest, you don’t really need one. Panasonic shavers are extremely easy to clean manually and even include a special cleaning mode that makes the blades vibrate extremely fast, dislodging any stubborn hair clippings or dirt. The area where the Panasonic Arc 5 shavers excel is shaving performance, particularly the closeness of the shave. With a very fast 14 000 CPM motor, 5 cutting elements and blades sharpen at a very aggressive 30 degrees angle, this Panasonic ES-LV65-S is capable of providing extremely close and fast shaves. In my personal experience, Arc 5 shavers outperform even the Series 9 when it comes strictly to the closeness of the shave. On the other hand, Braun has the edge in terms of comfort. I would also like to point out that the Series 9 is also better when used on longer facial hair, especially if your whiskers tend to lie flat on the skin and grow in different directions. Therefore the Arc 5 performs the best when used on shorter facial hair, making it ideal for shaving daily or every other day. If you still want the convenience of a cleaning station, this shaver is available with one as well in the form of the Panasonic ES-LV95-A. Panasonic’s stations are excellent and the running costs are lower compared to Braun, but as I said previously, they’re not really necessary. The ES-LV65-S is a great choice for men who want very close and fast shaves. The powerful motor and very sharp blades make it ideal for coarse hair. All Panasonic razors are waterproof and also perform outstandingly when used with shaving cream; so if wet shaving is your thing, you won’t be disappointed with the ES-LV65-S. The massive shaving head covers large surfaces with ease and can be successfully used for shaving your head as well. 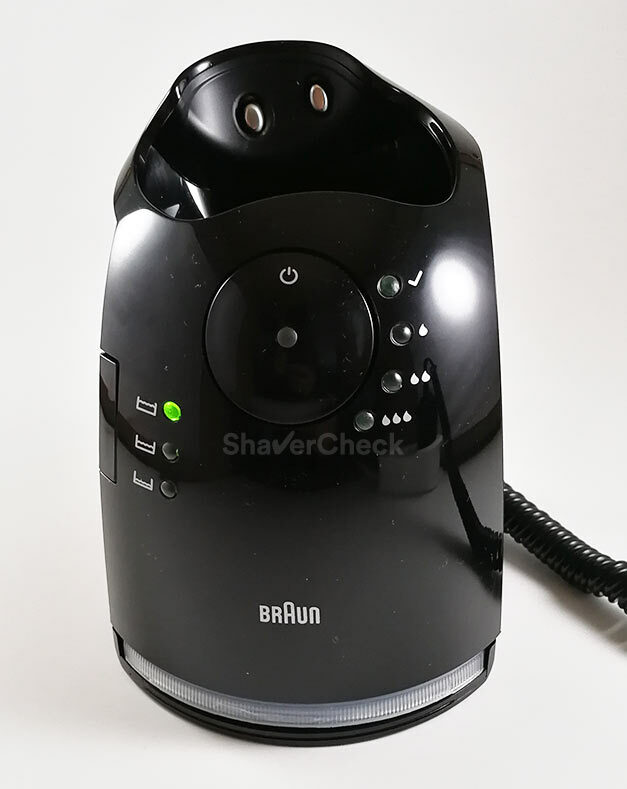 The Series 7 790cc from Braun is an electric shaver that ticks pretty much all the right boxes. It’s a great all-rounder and there are only a few situations where the 790cc wouldn’t make an excellent choice. As one of the best-selling electric razors in recent years, it was often regarded as the benchmark in terms of performance and comfort. Let’s see what makes the 790cc one of the best foil shavers on the market. The Series 7 is notorious for its gentle and smooth operation, making it a prime candidate for men with sensitive skin. The Series 7 790cc is capable of providing very comfortable shaves without major trade-offs in closeness. It’s not the closest shaving razor in this price range — the Panasonic Arc 4 is still the best in this regard — but most men will be perfectly satisfied with it. Braun’s cleaning stations use an alcohol-based solution that cleans, sanitizes and lubricates the shaver. Moreover, the cleaning cycles are short and quiet as the units that come with the older Series 7 790cc use induction heat for drying the shaving head instead of a fan. While Braun recently ditched the induction heating mechanism for all the Series 7 currently being manufactured, it still works excellent and you’ll probably want the station as the Series 7 is tricky to clean manually. Who shouldn’t buy the Series 7 790cc? In my opinion, the 790cc is one of the best foil shavers in this price range especially for being a great all-rounder. However, it won’t always be the best choice. First of all, if your budget is limited, there are more affordable options below, like the Series 5 or the Panasonic Arc 4. 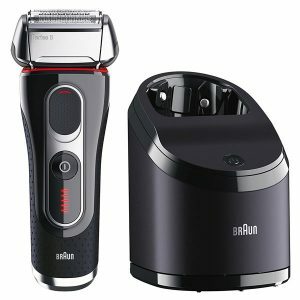 Secondly, if you shave every two days or even more and have wiry, flat-lying hairs, a Braun Series 9 will be more suitable. 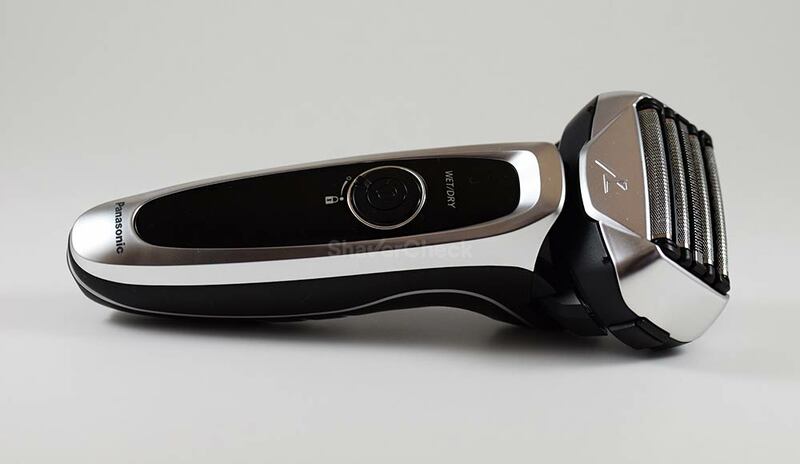 And finally, if the closeness of the shave is particularly important to you, there are other shavers that will outperform the Series 7 for roughly the same money, like a Panasonic Arc 4 or a second generation Panasonic Arc 5. The ES-LA63-S is a very popular electric razor from Panasonic and I constantly find myself recommending it more often than any other razor. The reason is quite simple: it represents a very compelling package. 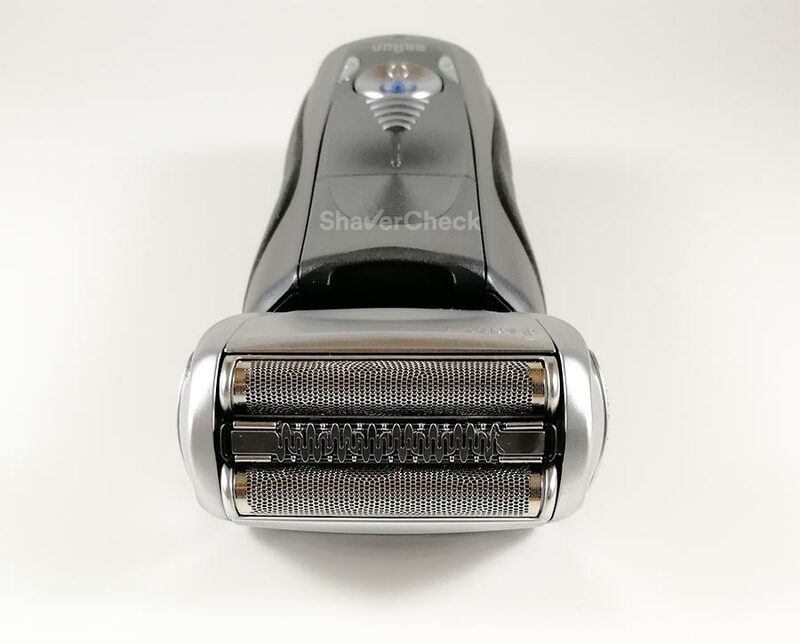 It provides very close and adequately comfortable shaves, has the same 14 000 CPM motor as the more expensive Arc 5 shavers, uses the same 30 degrees nanoblades and it is reasonably priced. The Arc 4 in its names refers to the 4 cutting elements, still plenty enough for anyone’s needs. 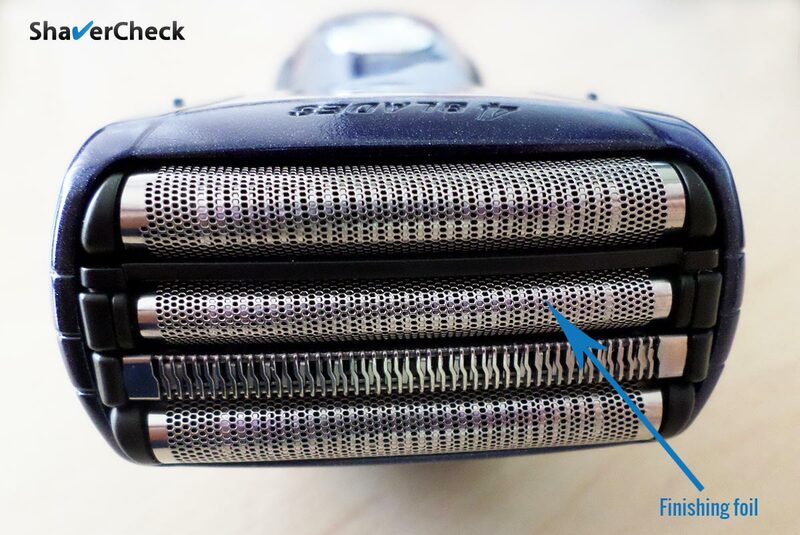 Moreover, this shaver has a secondary motor inside the actual shaving head that causes vibrations in the foil, making hairs stand up for a more efficient shave. The performance of the ES-LA63-S is remarkable for its price, making it a great deal in terms of cost and performance. You will not get a cleaning station in this price range, but as mentioned previously, Panasonic shavers are dead easy to clean manually. For more details, make sure to check out my Panasonic ES-LA63-S review. The Series 5 from Braun is a very interesting line of electric shavers. Performance-wise, they’re right up there with the Series 7, even though they lack some of their features, like the personalization modes and the micro-pulsations technology. However, given the fact that they are very reasonably priced and the performance is still excellent, they represent a viable alternative to the Series 7 if you have a limited budget. The 5090cc/5190cc is probably the most popular Series 5 model as it comes with a cleaning station and the price is right as well. Just like the Series 7, the Series 5 shines when it comes to comfort, being very gentle and forgiving, perfectly suitable for men with sensitive skin. The foils remain cool during use and you won’t experience any razor burn or pulling on the hairs. If you’re mostly interested with the closeness of the shave, the Panasonic Arc 4 would be a better option. You can read my detailed review of the Series 5 5090cc here. If you’re looking for a very capable, but inexpensive wet & dry foil shaver that you’ll be using daily for the majority of the time, then the Arc 3 line from Panasonic represents a very solid option. As it’s the case with the premium Arc 5 family, you have quite a few razors to choose from in the Arc 3 category. My personal pick would be the ES8103S because it offers the best performance for the money. 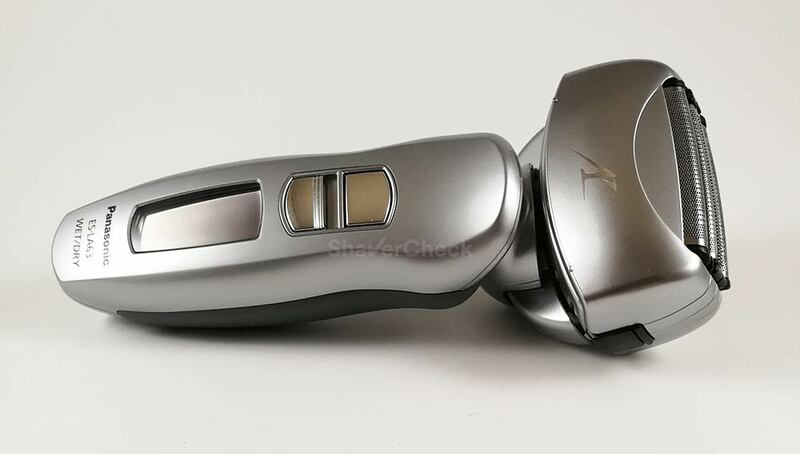 There are other newer shavers as well, but apart from a different color, design and a fancier LED display, the performance is very similar for all Arc 3 razors. There is also a new iteration of the Arc 3 line, but I won’t be referring to them as they currently cost way too much and as I said in my review of the ES-LT3N-K, the performance difference is marginal. 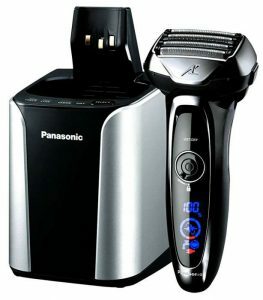 The comfort and especially the closeness of this entry level shaver from Panasonic are very good. You’ll still get an impressively fast 13 000 CPM motor and Panasonic’s sharp nano-blades. It’s worth pointing out that you’ll get the best results this electric razor when shaving daily. Men that don’t have very thick facial hair can get away with using it every other day or every two days. You can read the full review of the Panasonic ES8103S here. The Series 3 represents Braun’s alternative to Panasonic’s entry-level Arc 3 line. With a reasonable price, good performance and excellent comfort during use, the Series 3 represents a very attractive package, especially when you have a limited budget. The foil shavers from the Series 3 are available in several variations that cater to different needs. Therefore, we have dry only shavers, wet & dry shavers and optional cleaning stations. However, all of them use the same shaving head and the performance is identical. Picking one comes down to the features you actually need. My personal favorite is the 3040s that I reviewed a while ago. It is a wet & dry razor that works great for daily use and it’s usually very affordable. Also, the shaving head only needs to be replaced once every 18 months and costs half the price of a similar Panasonic Arc 3 foil & blades combo. In my personal experience, the Panasonic is slightly better in terms of closeness and definitely faster. For these reasons I would actually prefer it to the 3040s, despite the higher costs. The Series 3 is however more comfortable and better suited for sensitive skin. A full comparison between the two is available here. 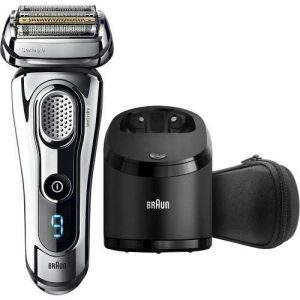 If dry shaving sounds more like your thing, check out the Braun Series 3 3050cc. It comes with a cleaning station and while it’s a more basic version of the one from the Series 7, it’s still quite good and very practical. I would also like to point out that both the Panasonic Arc 3 and Braun Series 3 are entry-level foil shavers. This means that while the results are quite good for shaving daily, they cannot match the speed and performance of the more powerful, advanced razors presented above. So far I have only talked about what makes a good foil shaver and I haven’t mentioned anything about their disadvantages. That’s not to say that there aren’t any, so let’s get right to it. First and foremost, foil shavers are definitely noisier during use; a rotary shaver is generally very quiet due to the lower speed of the motor and the lack of vibrations (caused by the reciprocating blades in the case of foil shavers). Also, the straight edge of the shaving head makes shaving certain portions of your face a bit more difficult; I am talking about the jawline and other nooks and crannies. Rotary razors, especially the more advanced ones, have cutters that can flex and tilt inwards and maintain constant contact with the skin. This trait of rotary razors can be beneficial for men with very prominent facial features. Some may also argue that rotary razors are better for longer and coarser facial hair. While this may be the case with entry-level, basic foil shavers, I haven’t found rotary razors to be significantly better in this regard compared to an advanced foil shaver. Entry-level rotary razors do seem to fare better with hairs that grow in different directions. After reading this article you’ll hopefully have a clearer picture of what makes a particular foil razor more suitable than others for a given situation. Don’t forget to check out our reviews section as well for thorough, in-depth reviews of more foil shavers. What would you recommend for a first time razor for my teenager who just started shaving? He does have sensitive skin and our dermatologist recommended using an electric razor. I think a Braun Series 3 like the 3040s ProSkin would be a very good option to start with. It’s easy to use, cost-effective and it’s also one of the most comfortable entry-level electric shavers. It’s not the most powerful razor out there, but for a teenager that’s just getting started with shaving, it should easily be good enough. I have thick hairs and very sensitive skin therefore I am looking for a shaver that does not irritate me. I usually shave every two days. I do not live in the United States so it would be difficult for me to buy the replacement cartridges for the cleaning station, I would have to do the cleaning manually. Also I have a reduced budget for which the Braun Series 9 is not an option. Which shaver would you recommend me to buy? The Series 9 would be ideal, but since it is very expensive my recommendation would be to get a Series 5. It’s powerful enough and very comfortable during use. It’s not quite as good as the Series 9, but it’s definitely the best you can get in this price range. I would look for a solo model like the 5040s, 5030s or any equivalent model you can get. You do a really great job of evaluating these razors. Very thorough and comprehensive. Really appreciate it. So I have a silly question regarding the Panasonic Arc5. You refer to the “5 blade shaving assembly”. Yet there are only 2 cutters under the foils. I didn’t think that the foils did anything other than lift the whiskers so that they could be cut. So what other “blades” are there? Or is this just foil razor terminology? That is a very good question. 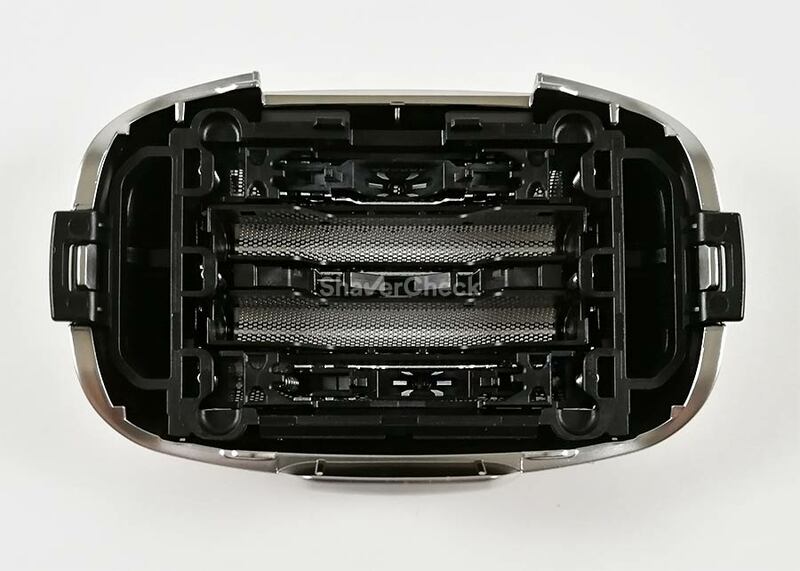 Panasonic shavers always feature only two removable inner blades, while the rest of the blades are actually integrated into the foils block itself. That is the case with all of their shavers — be it an Arc 3, Arc 4 or Arc 5. If you take a look at this photo that depicts the back of an Arc 5 foils block, you can see the blades in the two outermost foils and in the central trimmer as well. On either side of that middle trimmer there are two (empty) foils that will accommodate the two inner blades. So there really are 5 active shaving elements in the case of the Arc 5. I hope this makes sense. I would tend to shave every day using a Gillette razor. I had a Philishave rotary shaver a few years ago but stopped using it sometime ago as they no longer do the gel packs for it. I have semi-sensitive skin, would you recommend rotary or foil. For most users I think foil shavers are the way to go, especially when dealing with sensitive skin. So I’d say foil in this case as well. That’s my stance on this matter as well, in most cases the Series 7 will be good enough. You can check out this post for a very detailed comparison between the two. That means you have accidentally turned on the travel lock. You must press and hold the on/off switch for at least 3 seconds to unlock it. I’m a woman looking for a foil shaver and trimmer for legs. 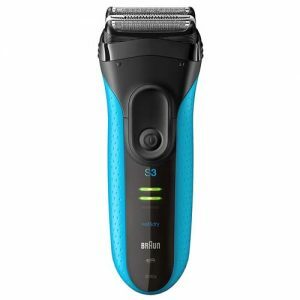 Would the Braun series 3 “shave and style” work for me, or is it exclusively for men? 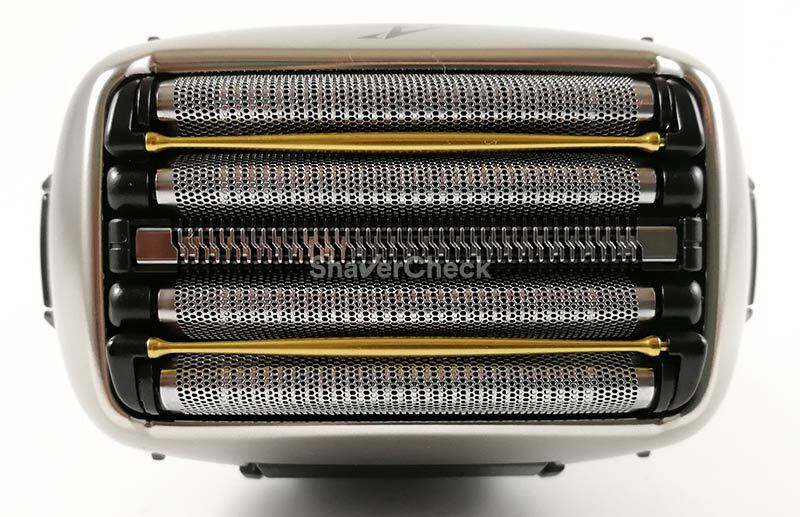 The Series 3 Shave & Style is a foil electric shaver that also comes with a few comb attachments. It is intended to be used on the face and while it could work on your legs, it definitely won’t be ideal. Electric shavers are designed to be used on short, dense hair. I would rather consider something like a Philips Bodygroom BG 7030. It is marketed as men’s groomer, but I don’t see why it couldn’t be successfully used by women as well. It is a two in one body trimmer and (foil) shaver. One thing to keep in mind is the closeness though. No electric shaver out there can shave quite as close as a blade. For us men that’s not really a problem, but for women that may be a deal breaker.